Manufacturer & Supplier of Rack and Pinion Gear & Ball Screw Repairing Services. Our product range also comprises of Ball Screws, Linear Motion Guideway and Precision Engineering Component. 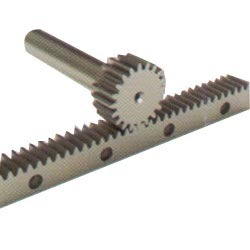 Acknowledged in the industry as a prominent manufacturer and supplier, we are engaged in offering Rack and Pinion Gear. Utilizing premium-grade alloys and metals, the offered products are developed with perfection in tandem with the guidelines laid in the industry. To suit the demands of customers in an efficient manner, we are offering these products in different specifications. Looking for Rack and Pinion Gear ?